Lofty Wisemans bench mark survival book. This is the lates NEW and UPDATED version. One of the best survival books ever written. After 26yrs of service in the British SAS, this is condensation of the skills and knowledge that Lofty taught and learned in the Special Air Service. I Highly recommend this book. 575 pages, split into 11 chapters. Purchase through PayPal by using the "Add To Cart" button above or use the form below to order the SAS Survival Handbook . 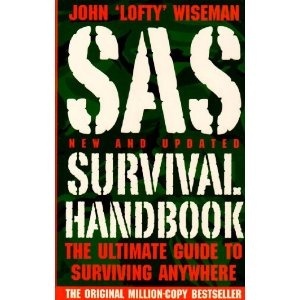 Feel free to contact us if you have any questions about the SAS Survival Handbook .